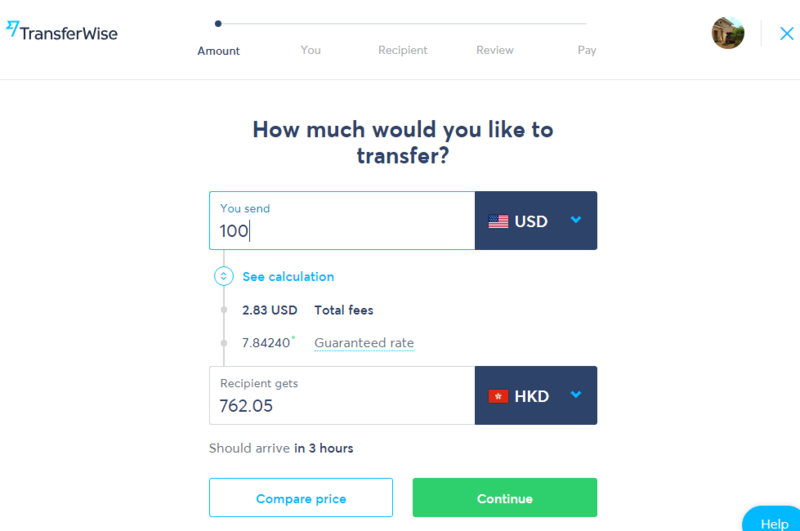 Transferwise is an easy way to transfer money with low bank fee. 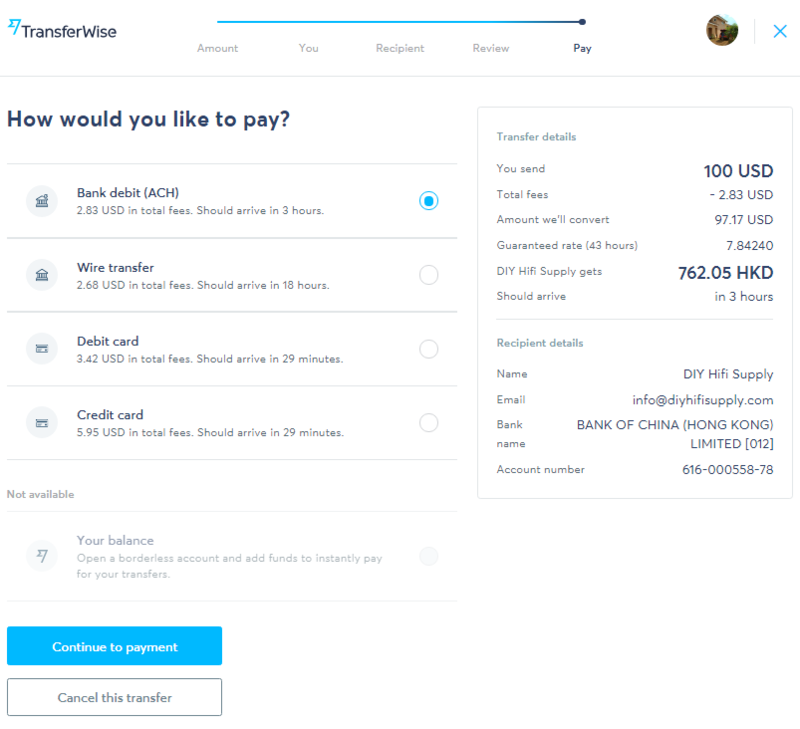 You can pay to the local bank account of Transferwise through bank counter or online banking. 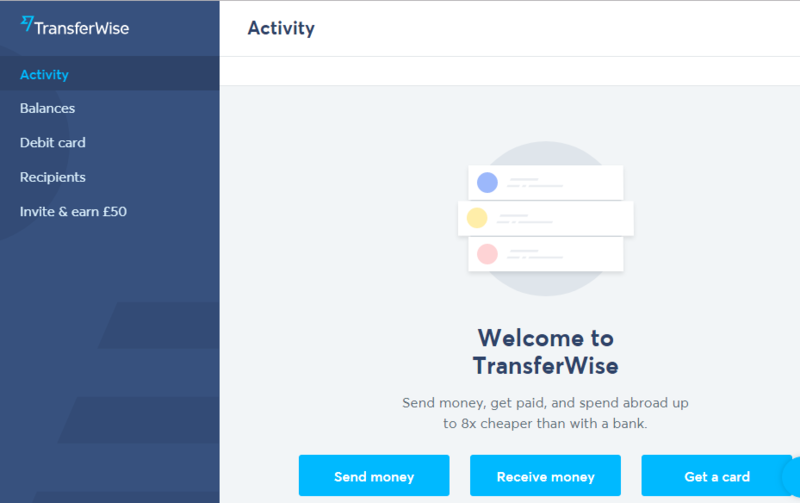 Step 1: Login in transferwise.com. If you don’t want to create an account, you can login using your existing google or facebook account. Step 2: Click “Send money”. Step 3: Input the USD amount to send, or choose other local currency. We accept the rate in google. Please make sure the recipient currency is HKD. 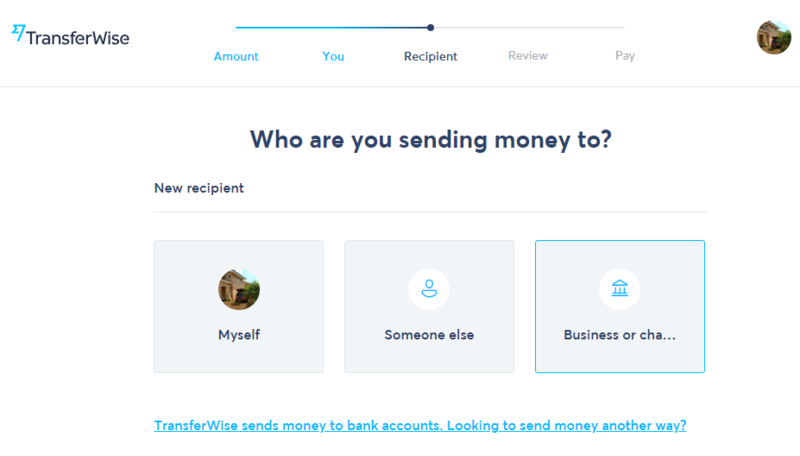 Step 4: Choose sending money to “Business or charity”. Step 5: Input our bank information. Address: 2013, 20/F, Hung Cheong Hse, Hung Fuk Est. 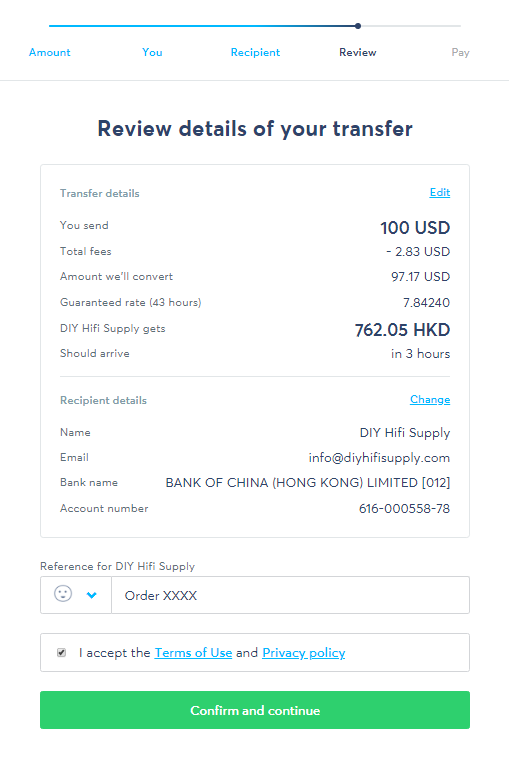 Step 6: Review and confirm the payment details. Step 7: Now you can choose online banking or local wire transfer. Fund will arrive in few hours to 2 days.